In Gandhi there is a scene in South Africa which show’s the beginning of Gandhi’s struggle against the British Empire as small as a mustard seed. Ed McNulty, Visual Parables. "He Put It Under His Head," Lynn Miller, Art & Faith Matters, celebrating our creative and living God by generating art and architecture resources for congregations and individuals. Art and Faith Matters facebook page contains additional resources. Preaching Helps (Pentecost +6). Rev. Dawn Chesser, United Methodist Church General Board of Discipleship, 2014. "The Grace of Doing Nothing," D. Mark Davis, Left Behind and Loving It, 2014. Process and Faith Lectionary Commentary, Marti J. Steussy, Proper 11, 2014, "...bringing process-relational thought to people of faith." "Place of Blessing/Searched, Known, Named," SAMUEL, Kathryn Matthews Huey, Sermon Seeds, UCC, 2014. Evangelectionary for July 20, 2014, Heather Lear, Evangelism Connections, 2014. Ministry Matters, July 20, 2014. Jesus Now, Proper (Ordinary) 16A, lectionary, study and worship resources from Faith Futures Jesus Then & Now. Rumors, for July 20, 2008, Ralph Milton, "Sermon helps for preachers with a sense of humor." "Weeds among the Wheat," Nancy Rockwell, The Bite in the Apple, 2017. "Bad Seeds and the Grace of God," Janet H Hunt, Dancing with the Word, 2017. "James Howell's Weekly Preaching Notions," 2017. "No Reflection," Miriam's Tambourine, reflection, artwork, worship resources from Memphis Theological Seminary. "Living with Hope," Peter Lockhart, A Different Heresy, 2011. Liberal Lectionary Resources, Proper 11A, Chris Ayers, 2011. "Dream a Little Dream," Theological Stew, 2011. "Learning to See," David Lose, Dear Working Preacher, 2011. "The Weeds among the Wheat," Alyce McKenzie, Edgy Exegesis, Patheos, 2011. "Bargaining Jacob," John C. Holbert, Patheos, 2011. Sermon Notes for July 17, Michael Rich, In-Formatio, 2011. Dylan's Lectionary Blog, Proper 11. Biblical Scholar Sarah Dylan Breuer looks at readings for the coming Sunday in the lectionary of the Episcopal Church, 2005. "Jacob," Frederick Buechner Sermon Illustrations. "Reduced to Tears," Stacy Stauls, Day 1, 2014. "Pacing in the Waiting Room," the Rev. Joseph Evans (PCUSA), Day 1, 2014. 6 Pentecost, the Rev. Matt Seddon, Sermons that Work, Episcopal Digital Network, 2014. Propio 11 (A) – 2014 POR EL RVDO. DR. HERNÁN AFANADOR-KAFURI, Sermones que Iluminan, Episcopal Digital Network, 2014. "It's Coming," the Rev. Joseph Evans, Day 1, 2011. "The All-American Dreamer," the Rev. Craig Barnes, Day1, 2008. "Place of Blessing / Searched, Known, Named," Weekly Seeds., 2014. "Do You Know How to Two Step?" Stephanie Buckhanon Crowder, ON Scripture, Odyssey Networks. Video: "LBJ's War on Poverty 50 Years Later." "Wheat and Weeds and Birthday Calls," Janet H. Hunt, Dancing with the Word, 2014. Bible Study, Proper 11A, 2014, Donna Stanford, Sermons that Work, Episcopal Digital Network. Estudio de la Biblia. Propio 11 (A), por Donna Stanford, Sermones que Iluminan, Episcopal Digital Network, 2014. Worship Planning Helps (Pentecost +6): Worship & Preaching Notes, Hymn Suggestions and Worship Resources from the United Methodist Church General Board of Discipleship. Life In Liturgy, Pentecost +6, 2014. Worship resources for Proper 11 by Thom M. Shuman from SermonSuite. Mustard Seeds, "God is with us," Proper 11, 2014. A lectionary-based ideas resource for leaders of contemporary worship, Ann Scull, Gippsland, Australia. "In Process," Sharron R. Blezard, Stewardship of Life, 2014. 2011. Liturgy for the Celebration of Life, Pentecost 5A. Liturgies from a Progressive/Post-Liberal Theology, Revd Rex A.E. Hunt, The Uniting Church of St James Curtin, ACT, 2011. Lectionary Liturgies, Ordinary 16, Thom M. Shuman, Presbyterian Church (U.S.A.), 2014. Worship and Liturgy Resources, Ordinary 16, by Rev David Beswick, Uniting Church in Australia. Prayers of the People, P11/OT16, General intercessions for Sundays and Feasts, by Ormonde Plater, Archdeacon of the [Anglican/Episcopal] Diocese of Louisiana. Lector's Notes, OT 16, Gregory Warnusz, Saint Jerome Parish, Bellefontaine Neighbors, MO. Notes and commentary for those reading this week's lectionary texts to the congregation. 21st Century Worship Resources, Pentecost +6, UMCDiscipleship.org. Offertory Prayers, Pentecost +6, UMCDiscipleship.org. The Timeless Psalms: Psalm 139:1-2, 23-24, Joan Stott, prayers and meditations based on lectionary Psalms, 2014. "Wheat and Tares," Suzanne Guthrie, At the Edge of the Enclosure, 2014. HermanoLeón Clipart, Ordinary 16 Free clipart, backgrounds, slides, etc. 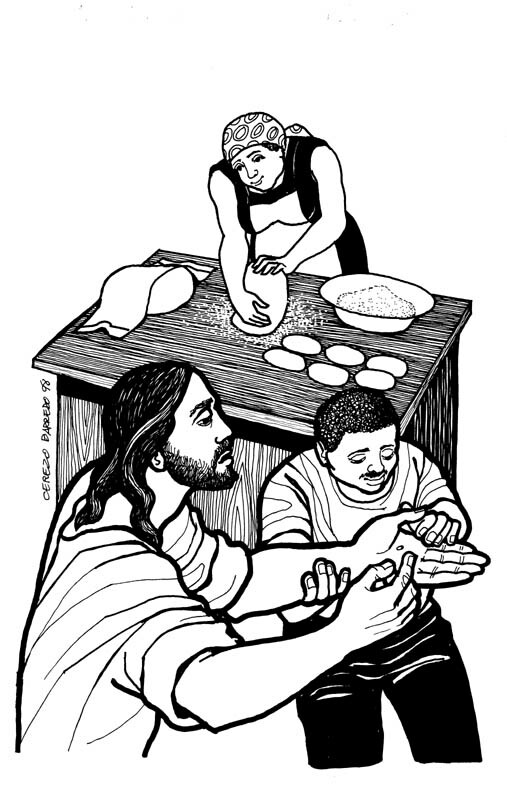 Clip Art Images: Matthew 13:24-43, Misioneros Del Sagrado Corazón en el Perú. Ordinary 16 at Cerezo Barredo's weekly gospel illustration. Follows Latin American Roman Catholic gospel reading, though most gospels texts/themes are found in the index. Liberation emphasis. "Garden Tools," video, John Stevens, Dollar Store Children's Sermons, 2014. 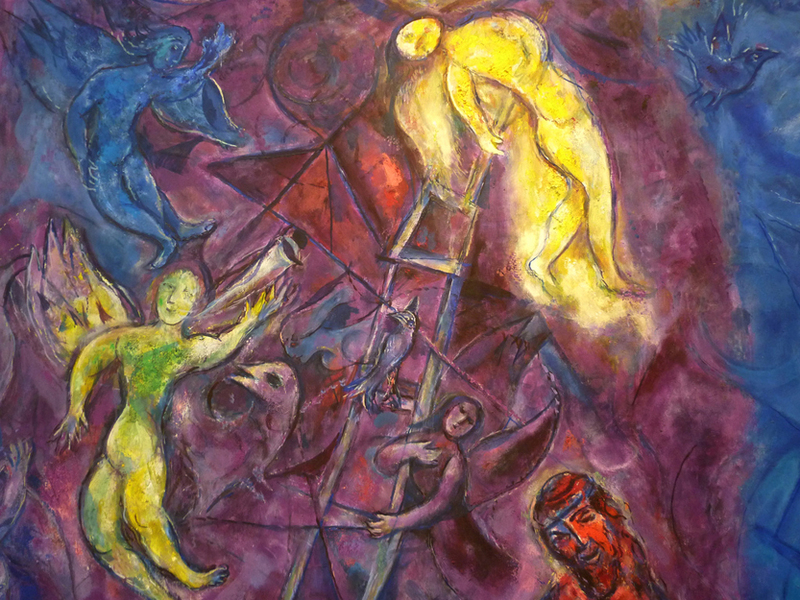 "We Are Climbing Jacob's Ladder," for choir and/or congregation, arr. Sandy Willard Rogers, United Methodist Church GBOD. "Siblings of the Risen Prince," Brenton Prigge, NewHymn. "The Gospel Garden," TEXT: Mark Ryman (2005) based on Matthew 13:24-30, 36-43. TUNE: "Bethlehem." New Hymns for the Lectionary. Hymns of the Spirit Three, Proper 11A, Richard E. Hurst, Universalist National Memorial Church. Psalm Settings by Dale A. Schoening, Metrical Psalms: Psalm 139:1-12, 23-24 set to Dix (77 77 77), Psalm 86:11-17 set to St Anne (CM 86 86). Hymn and Song Suggestions, Proper 11A, 2014, annotated suggestions from Natalie Sims, Singing from the Lectionary. Lectionary Hymns, Pentecost +6, UMCDiscipleship.org. Lectionary Puzzles, Proper 11. Word search puzzles in RTF or plain text, by Reg McMillan, St.Stephen's Presbyterian Church, Peterborough, Ontario. "Storypath Lectionary Links: Connecting Children's Literature with our Faith Story," July 20, 2014, Union Presbyterian Seminary. Genesis 28:10-19a and The Magic Pillow by Demi, Romans 8:12-25 and Wild About You! by Judy Sierra, Matthew 13:24-30, 36-43 and Seed by Seed, by Esme Raji Codell. 2011. Hannah's Homework -- Children's liturgy and story by Janice Scott based on Matthew 13:24-30, 36-43 from SermonSuite.